It’s time for tea and coconut-ey lemon loaf. 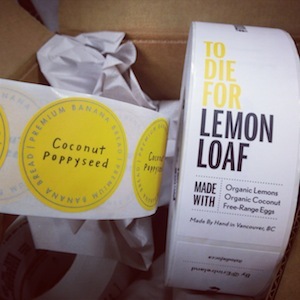 As of Thursday, September 12, “To Die For Lemon Loaf” will be available by the loaf for the first time at Fresh St. Market (1650 Marine Dr.) in West Vancouver. To celebrate the occasion, To Die For Fine Foods owner Erin Ireland will be at the West Van grocery story offering samples of the new, hand-made product from noon to four pm. To wash it down, shoppers will be able to enjoy sips of Namasthe, a fair-trade, organically-grown tea from Pemberton, BC. For more info about To Die For Lemon Loaf, click here.